UC San Diego is the world’s 15th-best university according to new rankings released Wednesday by the sciences-oriented Academic Ranking of World Universities. The ARWU has grouped UCSD in the world’s top-15 best universities each year since the annual rankings were first published by Shanghai Jiao Tong University in 2003. The highest the ARWU has placed UCSD in the rankings is 13th, from 2004 to 2006. 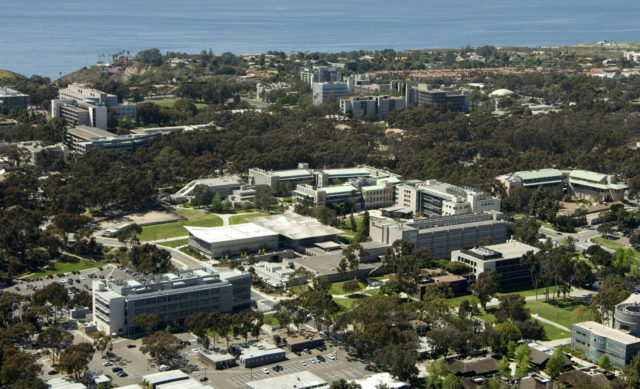 UCSD is also ranked 13th among U.S. universities and fourth among public universities. San Diego State University and the University of San Diego came in at 653 and 890, respectively. “UC San Diego is proud to receive this recognition as a premier research university with an international impact,” said Chancellor Pradeep Khosla. Universities are selected for the list if they have any Nobel laureates, fields medalists, highly cited researchers or papers published in the academic journals Nature or Science. Universities with a significant number of papers indexed by Science Citation Index-Expanded and Social Science Citation Index are also considered. The list candidates are then ranked on a number of factors, including education quality, faculty quality and per capita performance. The ARWU publishes the top 500 schools, with schools 501-1,000 published as candidates for the next yearly ranking.